Base to Bhattara Mane: Trail is well trod one and continuous for a good seven kilometres uphill through thick jungle. First view point: Place to stand in awe of the majesty of the mountain you are about to conquer and hit the trail to forest department to finish any formalities. Mantapa: An ancient black stone structure amidst Shola grass where one will have first major respite. Peak: The trek here involves unrelenting inclines leading to Shesha Parvatha, after which is another jungle called as leach valley. This stretch traverses along the saddle formed between Kumara Parvatha and Shesha Parvatha. The final patch to scramble up steep section of boulders and rock faces until it levels out onto flat ground: The summit of Kumara Parvatha. With low clouds and absolute silence, the feel of the place is simply divine. Bisle is a mountain pass, part of western ghats connecting Kukke Subramanya with Coorg where mother nature has showered her choiciest blessings. The area has thick evergreen forests. The scenery round about the ghat is highly enchanting. 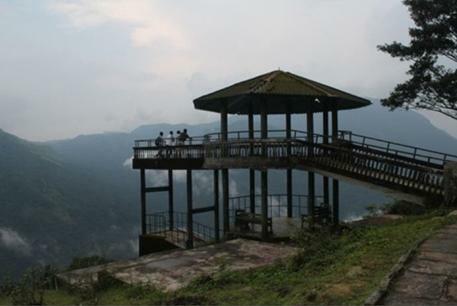 Bisle view point near Bisle Ghat (5 Km from Bisle village) offers you the magnificent view of the three mountain ranges – Yenikallu Betta (Hassan district), Doddabetta and Pushpagiri (Kodagu district)/Kumaraparvatha (Dakshina Kannada district). A lot of mountains, forest, gushing streams and water falls can be viewed from here. Travelling via Bisle Ghat gives you a thrilling experience. You can see and enjoy many waterfalls (especially during rainy season) besides savouring the scenic beauty on the way. 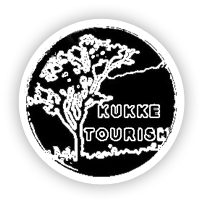 The route open heartedly welcomes tourists, the trekkers, the artists and to nyone who wishes to escape the heat & dust of the plains to breathe the exhilarating air of the hills and enjoy the spectacle of the variegated mountain scenery. There is pleasure in every step you take in these enchanted route and in every gurgle you hear in the clear mountain streams. You can also enjoy by seeing peacocks, monkeys, deer’s and snakes and saying hello to them in their natural habitats!. It is a nature lover’s true delight. Be one with the nature in its most pristine form. 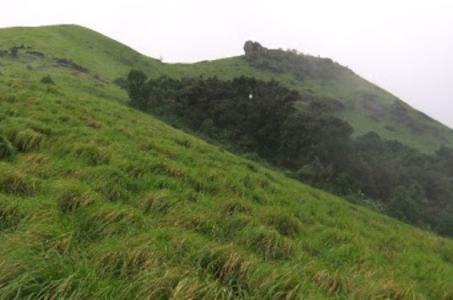 Bantamale in Western ghats, is a favourite spot for trekkers consisting of more than two hills and houses rare, precious plants and teak trees. The hill is fully covered by darbe grass which has sharp edges. Bantamale is located in Sullia Taluk of South Canara District in Karnataka, round 30kms away from Kukke Subramanya. Its very attractive unkwon trekking spot in Dakshina Kannada district. The beauty of nature is hidden by the evergreen forest of Bantamale. Ranipuram is a beautiful mountain village famous for its grasslands, monsoon forests and trekking trails, which was formerly known as Madathumala. 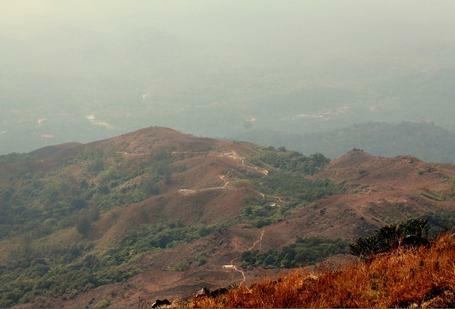 Located at a distance of 85kms from Kukke Subramanya, Ranipuram in its natural beauty is comparable to Ooty. Wild elephants can be seen wandering on the top of the mountains. 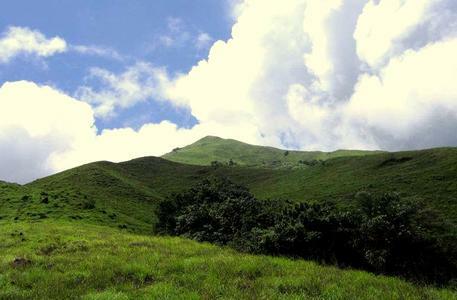 It is lesser known trekking spot though the trekking experience is enthralling and very refreshing.